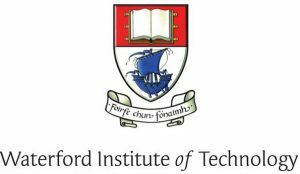 A formal Progression Agreement is in place between the CETB Cork College of Commerce and WIT whereby WIT reserves entry to a number of Year 1 and Year 2 places on specific linked programmes annually for our students. Only candidates who have successfully completed a full QQI level 5 or level 6 award in the Cork College of Commerce will be considered for entry under this agreement. Students must apply to the CAO before 1st February for a WIT linked programme which is listed on our progressions database. For further information on WIT degree programmes visit https://www.wit.ie/courses. Cork College of Commerce will supply WIT with the details of students wishing to be included under the WIT-CETB Cork College of Commerce Progression Agreement by March. Please make sure you return your WIT/CCOC Progressions form to Niamh Gaine on or before the deadline.